THE GIRL WHO STOLE LONDON: LONDON FASHION WEEK. DAY 2. LONDON FASHION WEEK. DAY 2. For LFW day numero dos I decided to give a nod to mod with my ensemble. Layering on different tones of grey in my Warehouse Turtle Neck & Warehouse Sleeveless Wool Coat I chucked on my gorgeous Another8 Checked Skirt and my AW14 investment boots - these Topshop Magnum's. J'adore. 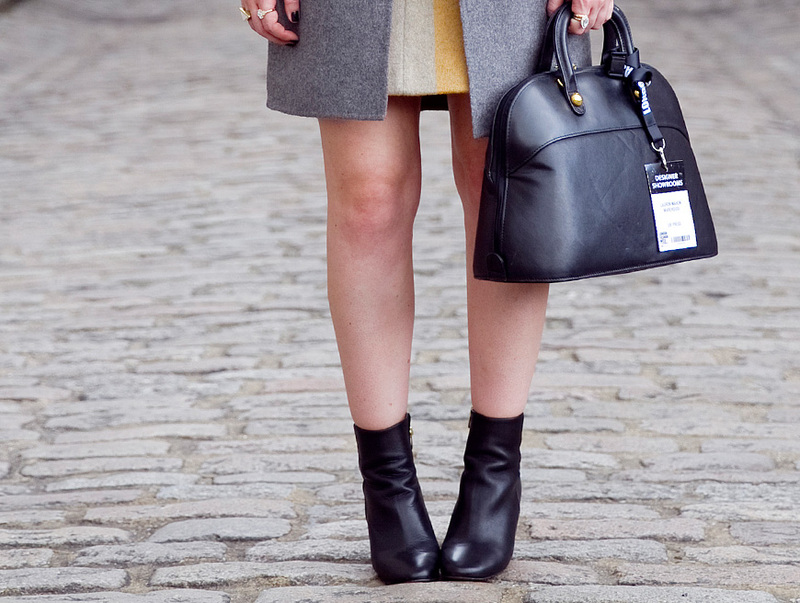 Without a doubt this is my most fave LFW outfit to date and it seems I wasn't the only one all about this attire. My beaut talented bud Holly McGlynn snapped me on the cobbles (above) and guess who picked out my pic? Only bloody LOOK Magazine! Yep my first print cameo peeps. Who wants my autograph? 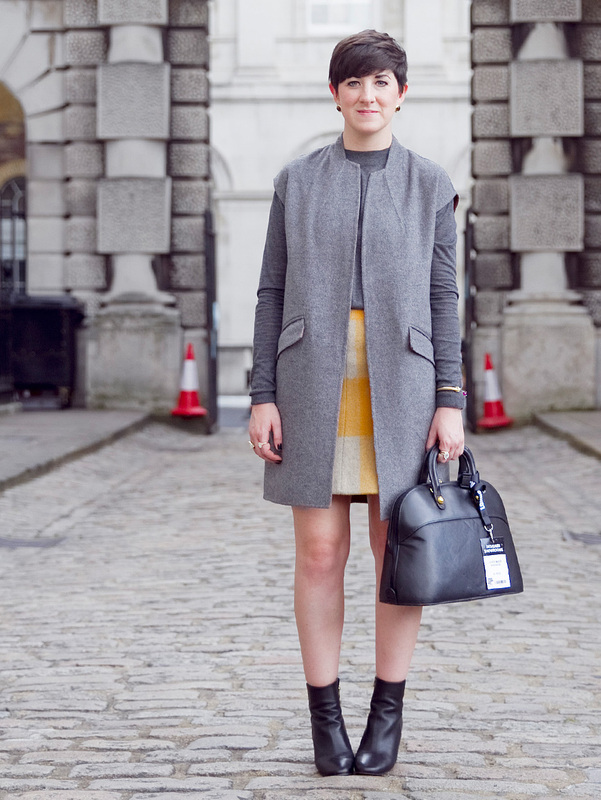 Did YOU spot my LFW Day 2 style in LOOK?? ?